If you expect to reside in this area for more than 3 months you are advised to register with a practice. If you have been told by the practice that you are within our catchment area (see map below) and you wish to register here, then call into the surgery where you will be asked to complete a registration form. Alternatively you may print off a registration form, fill it out and bring it in to the practice. When you register you will also be asked to fill out a medical questionnaire. 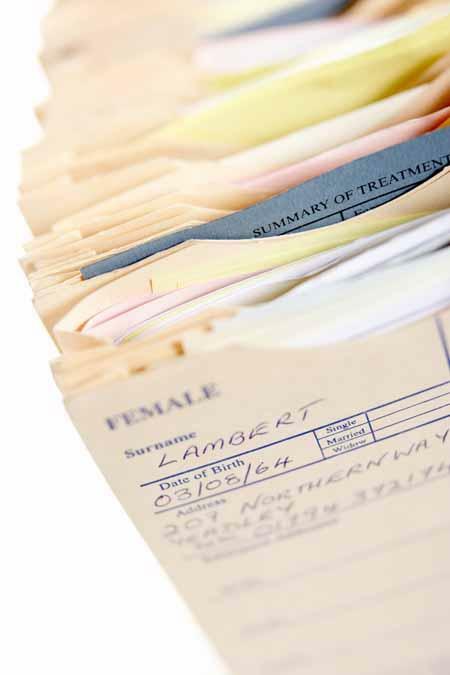 This is because it can take considerable time for us to receive your medical records. You may print off a medical questionnaire and bring it to the practice together with your registration form. When you come to the surgery you will be asked to sign this form to confirm that the details are correct. Once the registration form and medical questionnaire have been received and your ID checked, it will take 48 working hours for the request to be processed. When registration is complete, your medical records will be sent for and these will stay with our practice until you move on again. Please clink on the link below and enter your postcode to see if your address falls within our catchment area. Please ensure that you register your new-born as soon as possible after birth to ensure that all the necessary paperwork is completed well before the infant's six-week check is due. If you are ill while away from home or if you are not registered with a doctor but need to see one, you can receive emergency treatment from a GP at the Practice for 14 days. After 14 days you will need to register as a temporary or permanent patient. You can be registered as a temporary patient for up to three months. This will allow you to be with us and still remain a patient of your permanent GP. After three months you will have to re-register as a temporary patient or permanently register with the practice.